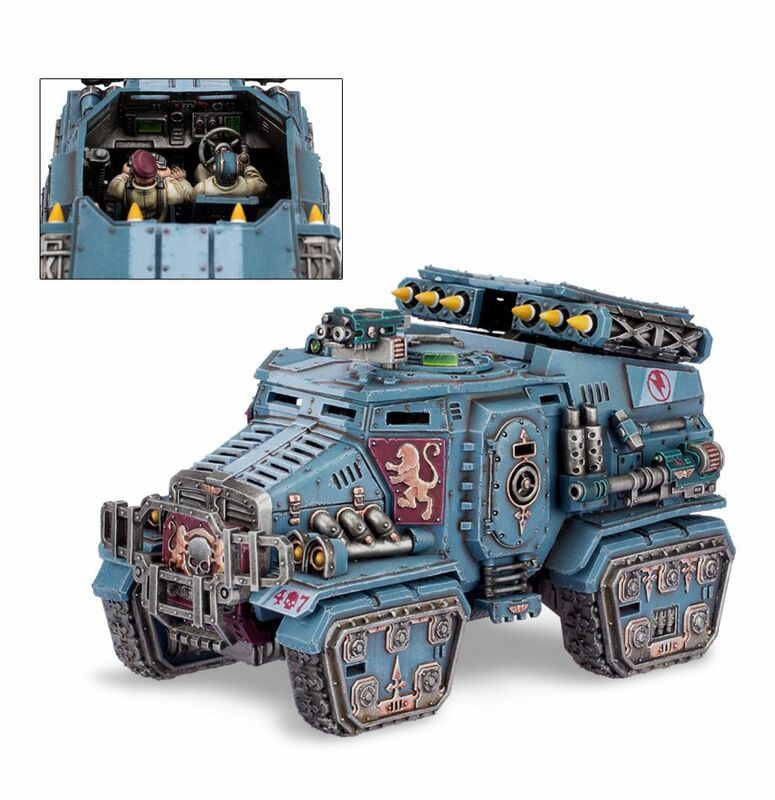 Sponsons work perfectly fine so long as they don't compromise the armor integrity of the tank, which in 40k's case they don't because sponsons aren't manually controlled like in historical vehicles. Rather the stranger thing is the Crusader, as there's no reason to slap infantry rifles onto a bloody tank. 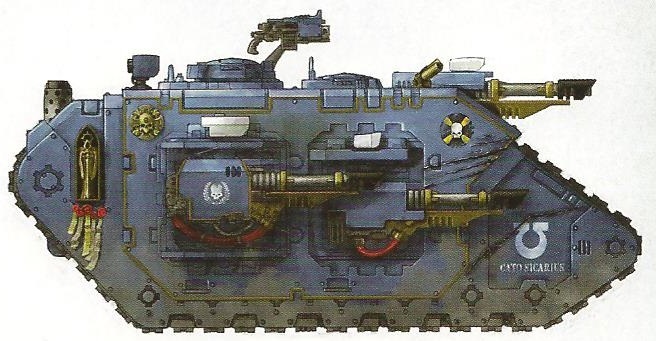 Hurricane bolters make as much sense as a Namer (closest thing to a RL land raider) having 6 Galil's slapped on it. Imperial Guard tanks do have remote controlled sponsons too. The only one with manual sponsons is chimera firepoints. Edited by Volt, 14 January 2019 - 02:30 AM. Edited by Inquisitor Dracos, 14 January 2019 - 03:56 AM. I've always put the sponsons the front. Whe I bought my first land raider that was the box art shown earlier in the thread. Lol. If Sponsons are so great in real life then why aren't militaries all over the world falling all over themselves to redesign vehicles to use them? Sponsons look cool. Ergo why they end up on Imperial vehicles. Well that and the WW1 vibe the Imperial forces like to go for in the aesthetic. Because we don't have any weapons worth mounting as a sponson. The weapons that are worth mounting such as ATGM's (which in 40k is a hunter-killer) are mounted on top of the turret. Likewise our tanks aren't threatened by hordes of melee infantry armed with shaped charges or melee weapons able to cut through armor that would demand excessive firepower to protect the tank from getting swarmed. First, I don't think anybody really made that claim. But we also don't have weapons big enough to require a sponson. When we eventually have people running around able to punch a hole in a tank, I imagine we'll need some beefier point defense weapons. But we also aren't religiously compelled to follow a mechanical creed that deems everything we create to be perfect, so there's that. Realistically, our solution to giant daemons slicing through our armour is probably not to keep building tracked armour. Edited by Lemondish, 14 January 2019 - 12:38 PM. 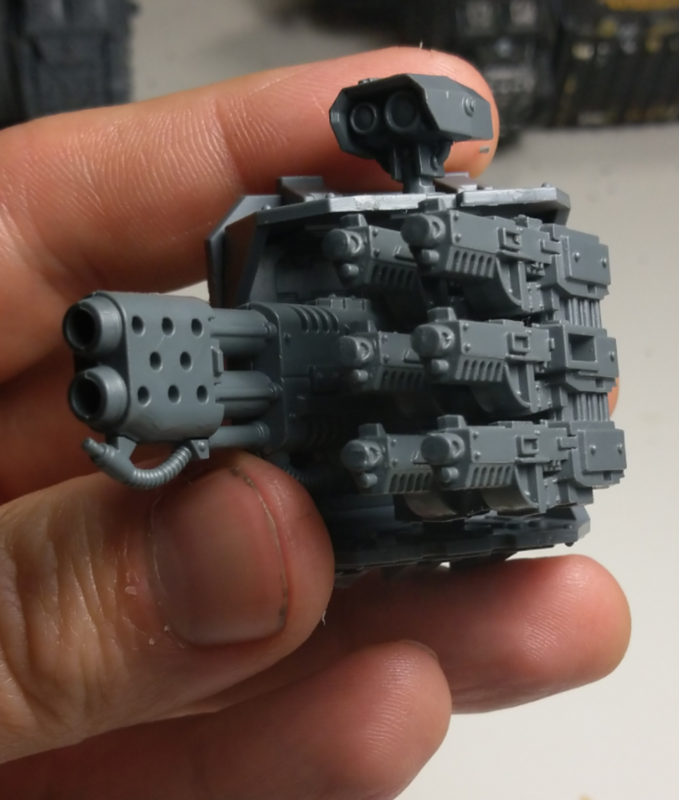 None as dumb as the weapon placement on the Taurox Prime. Side weapons blasting into the doors, rockets firing into the hatch and pintle weapon. And unlike LR there's no assault ramp or alt build. I ask how these people grew up with GI Joe and made that crappy vehicle. Best version would be hurricane bolters but with heavy bolters instead of bolt guns (so an array of 6 heavy bolters per sponson). Edited by Trevak Dal, 17 January 2019 - 01:50 PM. ...That would take some work, but it would also be so awesome! "Facts are chains that bind perception and fetter truth. For a man can remake a world if he has but a dream and no facts to cloud his mind." "Rabid Ferrets make wonderful minions. Here have some!" ::hands over squirming bag:: -Me in various online games. "I love it when people try to correct grammar on the internet. As if posting a correction to a post written in three seconds is going to stem the tide of illiteracy." - StigmatTickles, Gamefaqs.com Message Board. Xbox Gamertag: Jamafore. I'm in Central standard time. Apparently -5 dst? Since it hasn't been linked in yet, I linked it in now.